the symbiosis of healthcare and technology. which impact will it have? will we live forever? experts and other digital health enthusiasts. questions & raising awareness of implications. of health with roots in fintech. kalle palling was born in 1985 in käru, central estonia. he earned a degree in environmental management from the university of tartu in 2009. in 2005 he joined the liberal estonian reform party, where he served as the secretary general of reform youth from 2006-2007. he has also been a member of several municipality councils. in 2007, he was elected to the estonian parliament. kalle palling is currently serving his 3rd term as member of parliament. since 2014 he is the chairman of the european union affairs committee of the estonian parliament. he also belongs to the economic affairs committee of the estonian parliament and acts as the chairman of the estonia-germany, estonia-finland and estonia-slovakia parliamentary group. additionally, kalle palling currently serves as a member of the supervisory board of the tallinn airport and estonian environmental research centre. In his work, he puts special focus besides eu issues also on topics relating to the sharing economy, energy and connectivity. furthermore, he is also following closely developments relating to the countries of the eastern partnership. In his free time, kalle palling enjoys sports & is especially keen on running. ralf bohlman is a successful health coach, mentor, blogger and one of germany’s most popular podcasters in the fields of health, fitness and nutrition. his podcast receives more than 100.000 downloads per month, helping to bring out the best version of you. background: engineer with more than 20 years of experience as IT-entrepreneur, 20 years in competitive sports - marathon personal best 2:51 with 50 – He is now 52 years old, married and has 3 daughters in the age between 5 and 19.
min-sung conducts global digital health investments for allianz ventures, the venture capital unit of allianz group, that reaches 75m customers in 80 countries worldwide. Prior to allianz ventures he was partner of a berlin-based venture capital fund that specialized in digital health series a investments. having been an entrepreneur before, he understands the challenges and difficulties of building up a company and hopes that this blog digitalhealthvc.com will serve as a helpful resource for digital health tech startups in the region. he invested in startups including mysugr, neuronation and mimi and is a contributing writer for mediums including techcrunch and tech.eu. min-sung studied business economics at witten/herdecke, harvard, st.gallen and in seoul. anke is vp finance of target global, an international venture capital firm with over us$400m in assets under management and offices in berlin, san francisco, tel-Aviv and moscow. target global focuses primarily on fast-growing digital-enabled b2c and b2b companies in commerce, fintech, travel, software and mobile. the company manages a growth fund that invests in series b and later stage opportunities us$5m-30m per deal and a seed stage fund that invests between us$200k-500k per deal. Anke is a trained venture capitalist by year starting her career in vc at the age of 25, becoming cfo at creathor venture at the age of 31 and now recently moved to berlin, the heart of european's startup ecosystem. In her free time, she enjoys running marathons, street art and exploring restaurants. thimo v. schmitt-lord mbe is executive director and head of the bayer foundations – a non-profit impact investor and partner of pioneers in science and society since 1897. the bayer foundations promote science excellence and gap-closing social innovation all around the world. thimo is from background a genetic engineer and holds master degrees in business and engineering from university of greenwich in london, bloomington university in the us and kitakyushu university in japan. marcus schult is a seasoned consultant and communication expert. the 48-old has worked as a business and financial journalist with several tv and radio stations throughout europe for more than 3 decades. and still, he is keen to tell compelling stories of challenge, change and success.that even more since he personally moved on and created his own business. as ceo and performance coach he is helping his clients to discover their specific change potential as well as to implement individual growth solutions. 19.50 startup pitches - how will you change the future of healthcare? how will startups improve our health care system? a partner-run M&A boutique with focus on corporate finance and restructuring advisory with offices in frankfurt, munich and dusseldorf. one of the trendsetters for organic superfood beverages in Europe. to healthcare? how can we all benefit from a (technological) healthcare revolution? with startups? how can startups improve business models of corporates and healthcare systems? other sectors like healthcare? should the (local) government be a driver behind innovations? 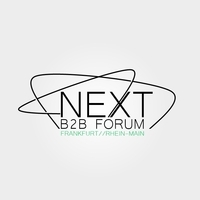 The next b2b forum is organized by the global shapers hub frankfurt, an initiatve of the the world economic forum. // The Global Shapers community is a network of hubs developed and led by young people who are exceptional in their potential, their achievements and their drive to make a contribution to their communities. the community comprises over 6,000 young people based in more than 450 cities in 170 countries and territories. together, we form a powerful source of grass-roots knowledge and global youth perspectives.